If one thing is clear, is that Assassins Creed Origins is shaping up to be one of the biggest games of the year. And what we’ve seen so far of this Assassin’s Creed entry suggests this could be Ubisoft’s most ambitious game to date, while the game will also be featuring music by veteran composer Sarah Schachner. This will likely please fans of Ubisoft’s earlier hit Assassin’s Creed IV: Black Flag, as Schachner’s musical score helped make the pirate-themed Assassin’s Creed one of 2013’s best games. The US composer, who has also written music for films like The Lazarus Effect, stated in an interview on Ubisoft’s blog that she was “thrilled with the setting” and also happy to be working again with the Black Flag team on another Assassin’s Creed game. And clearly one of the best parts of the Assassin’s Creed games is how they take players to another time and place, enjoying the sights and sounds of historical periods like the 18th Caribbean seen in Black Flag, or the city of Paris during the French Revolution (the setting for Assassin’s Creed Unity), another game Sarah Schachner composed music for. Of course, other Ubisoft games such as Assassin’s Creed II (arguably the series’ best to date) also had a great soundtrack by Jesper Kyd which combined classical and modern themes, and surely is amongst the best video game soundtracks we’ve heard to date. But there’s no doubt that both fans of the Assassin’s Creed series and video game aficionados in general have high expectations for Origins, which is hitting shelves on October 27 on PS4, Xbox One and PC. 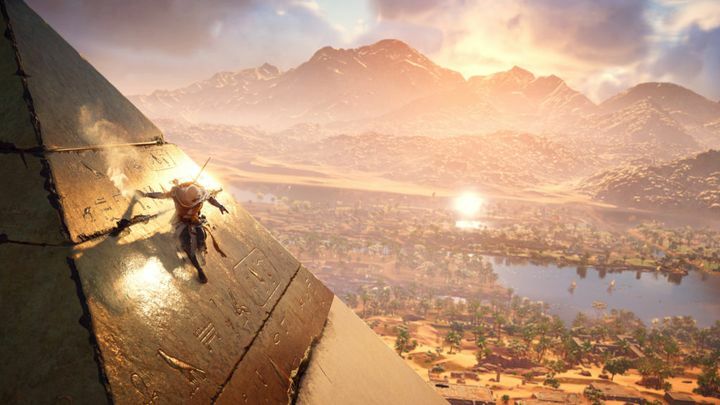 A part of what makes Origins special is the game’s novel ancient Egyptian setting, and also the fact that some aspects of Assassin’s Creed gameplay such as combat have been overhauled for this new entry in the series. Also, the game’s reworked tombs and new role-playing elements could make this game special, helping make fans forget about Ubisoft’s earlier missteps, such as Assassin’s Creed Unity’s botched launch in 2014. Will Origins’ music be as great as that of earlier Assassin’s Creed games? Going back to the music, composer Sarah Schachner also said on Ubisoft’s blog she and the team at Ubisoft Montreal decided not to do “something too stereotypically Middle Eastern”. So, although you’ll hear the instruments that were usually played in Egypt at the time in Assassin’s Creed Origins score, the music will also be “somewhat ambiguous with prominent sci-fi influences” according to Schachner. 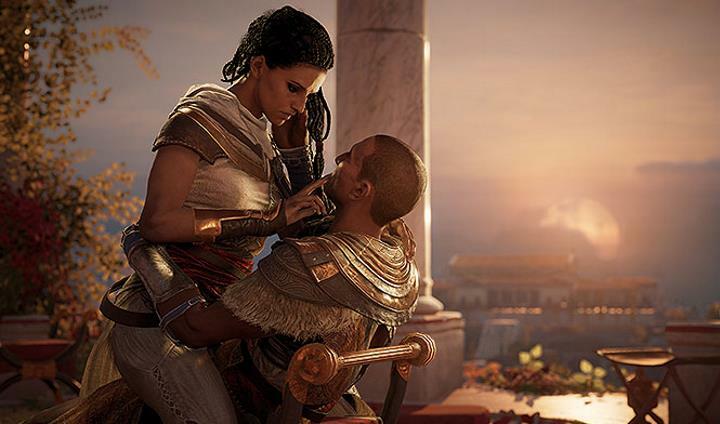 The game will also have specific music for environments such as deserts, while protagonist Bayek also has his own theme, one that Sarah Schachner has said will be “instantly recognizable so players could connect to him emotionally anytime they hear it throughout the game”. The American composer also spoke of the challenges involved in creating a score for such an ambitious game as Assassin’s Creed Origins. Actually, scoring the game involved a staggering two years of work, with the game itself featuring several hours of music. “There are hundreds and hundreds of specific scenarios in an open world game that need music to do a certain thing and meet certain technical requirements to work in the system they’ve designed”, said the composer, adding that nonetheless working on Origins has been “a roller coaster of an experience”. The thing is, will Sarah Schachner’s music for Assassin’s Creed Origins go the extra mile and turn out to be the best yet in an Assassin’s Creed game? We’ll have to wait until the game is out in order to find out for sure, but for the time being, you can listen to a sample below and make up your mind before Assassin’s Creed Origins hits shelves later this week.